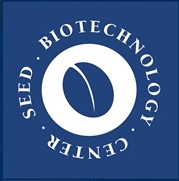 This 3 1/2-day course focuses on the biological, genetic, agronomic and technological processes and practices involved in the production and processing of agricultural seeds and how they influence seed quality. The course will also cover the postharvest conditioning processes and seed technology treatments that can enhance seed quality. Targeted participants include seed production professionals and others who would benefit by knowing more about how to grow, manage and process crops for seed and to attain and enhance seed quality.